When there is an opposing witness testifying, litigants have the right to challenge the truthfulness of that witness. In some cases, they might even challenge their own witnesses. 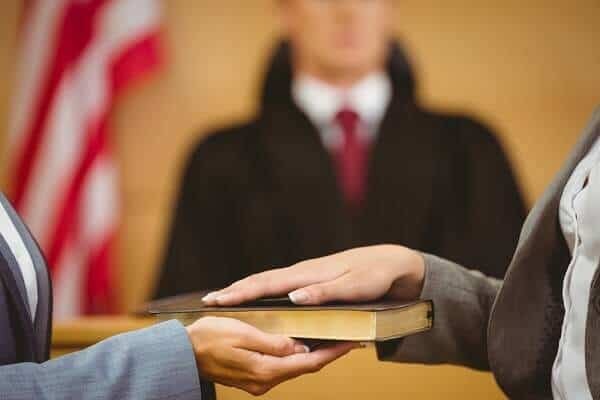 By showing the judge or jury that statements made by any witness are inconsistent with other statements that person has made, the likelihood that these statements will not be believed are increased. Any time a witness testifies under oath, the other side performs a challenge by conducting their questions in the cross-examination. This can be used to determine the validity of the testimony, the precision of their memory, and if the witness is lying. The process of impeaching a witness is a direct attack on that witness’s character, truthfulness, and reliability. Sometimes, a defense attorney may work to impeach a witness to strengthen their client’s case. Alternately, a prosecutor may try to impeach a witness to weaken the defense’s case. Introducing contradictory statements made by a witness in the past is one common way to impeach the witness. However, presenting these statements is not enough. The witness is still given a chance to defend their inconsistencies in court. The court might also require that the lawyer questioning the witness’s credibility disclose what was said in a prior testimony and then give them the chance to agree or deny that the statement is true. Even if a statement is proven to be inconsistent, this does not make the witness’s statement true or proven false. Therefore, it will only discredit the witness’s statement and make the jury or judge less inclined to believe them. Another way to have a witness impeached is by showing that they are biased against one side or another. Any relationship between the witness and one of the parties could show bias. If bias is demonstrated, the argument can then be made that the witness has a motive to lie, and their testimony should not be believed. Another standard technique for impeaching a witness is attacking their reputation or character. An opponent challenges the assertion that witnesses are believable by providing evidence to the contrary and calling witnesses that testify against a person’s reputation. Bad moral character, however, is not grounds for impeachment. Instead, evidence must show that the person is untrustworthy and untruthful. Past criminal convictions and proof that there is an apparent disrespect for the law can be used to impeach a witness, or at least make their statements less believable. The theory is that if a person has disrespect for the law, such as the ability to commit a crime, then they are less likely to take the oath to tell the truth seriously during their testimony. If you have been arrested for a crime, do not worry about witnesses or your strategy. Instead, contact a skilled criminal defense attorney like Christian A. Schwaner, P.C. As a former prosecutor, he understands the system from both sides and can help you whether you are facing a DUI, DWAI, or more severe charges. Schedule a consultation today by calling 719-577-9700 or request your appointment online.